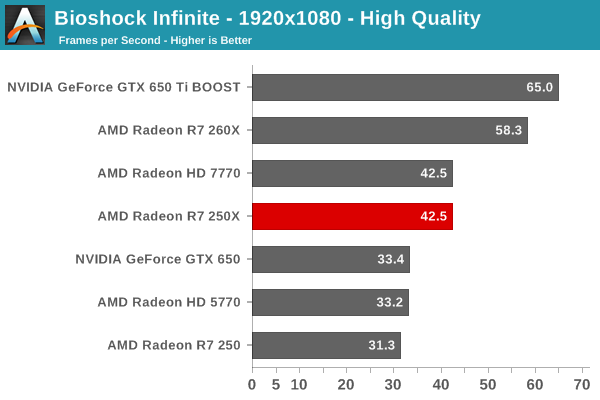 AMD has just released the mid tier GPU, Radeon R7 250X. The card arrived in a no-nonsense fashion and is going to retail at the less than $100 Mark. It is meant to target the vacuum between the R7 250 and R7 260 and will also serve as a counter to the GTX 750 Ti and GTX 750 for PR purposes. 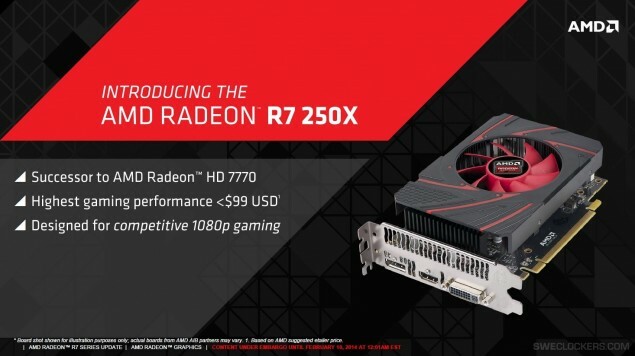 Radeon R7 250X GPU Launched – Features Cape Verde XT Core and 95 TDP. Stream Proc. 896 pcs. 768 pcs. 640 pcs. 384 pcs. Texture Units 56 pcs. 48 pc. 40 pc. 24 pc. Raster Devices 16 pc. 16 pc. 16 pc. 8 pcs.